So you know I'm a tea junkie. Sorry not sorry! 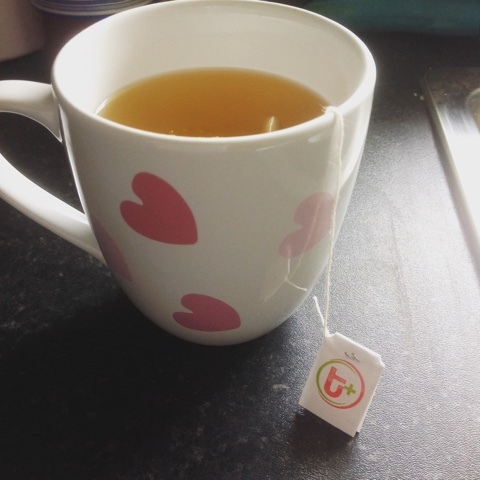 I actually drank loads of green tea when I lost my 7 and half stone. Back then there wasn't many crazy tasty flavours out there. I really think it's awesome for weightloss and skin problems. 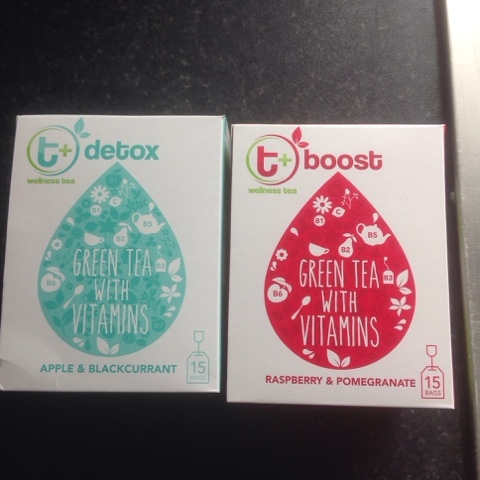 So the two I'm trying is t+detox apple & blackcurrent & t+boost raspberry & pomegranate. They are £3.45 per box. 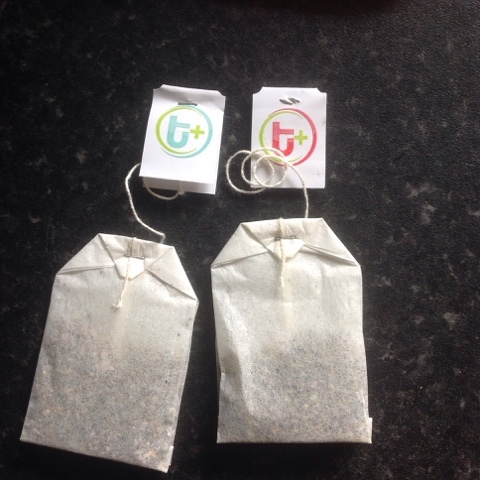 I love when tea is individually wrapped as I can throw them in my handbag for work. The smell when you open the packet is over whelming in a good way. Now this is only a sentence a really tea junkie will get. The bags are strong and the string stays in takes with lots of dunk age. I hate when the string breaks grrrr. But these have been tested and work perfect. 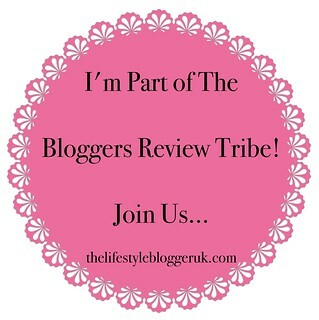 So let's talk t+detox -Apple and blackcurrent. This makes me want to be ill with the cold to really get that warming hit this gives you. It smells like chewits yip I went there. It tastes smooth and I love that the taste is as good as the aroma. I find with some teas they smell better than they taste but not with this one. This beautiful blend of goodness can help you on those days when your body isn’t so much of a temple anymore. t+ detox is designed to gently help your body cleanse itself after a heavy weekend, or simply play the supporting role in that weekly health kick mission . Antioxidant rich green tea works to help reduce oxidative stress and free radical build up in the body. We add to that a combination of ginger root and dandelion root which have been used for centuries in Asia to help support internal cleansing. 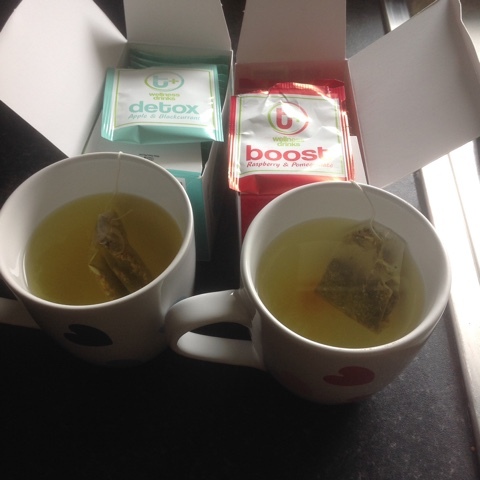 This is all topped off with natural apple and blackcurrant flavourings to give you a little mug of much needed TLC. This is now my go to summer tea. It's light it's refreshing. It's super sweet. This would also make the best ice tea ever! As I said above what is this smell? its amazing. 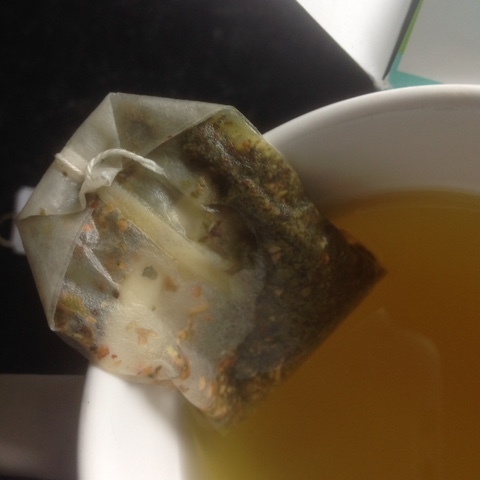 This little tea bag packs a real punch! Green tea goodness is mixed with ginseng and yerba mate, used as a natural stimulant in South America for centuries. Unlike coffee, this clever plant gives a slow energy release to avoid those sharp caffeine crashes that the coffee bean gives. We then use a brilliant blend of b vitamins that help to naturally release energy from food into your body. 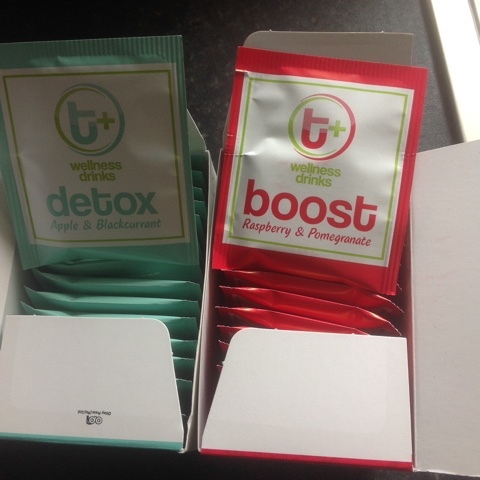 All this in one little tea bag of goodness, bursting with lovely raspberry & pomegranate flavour. 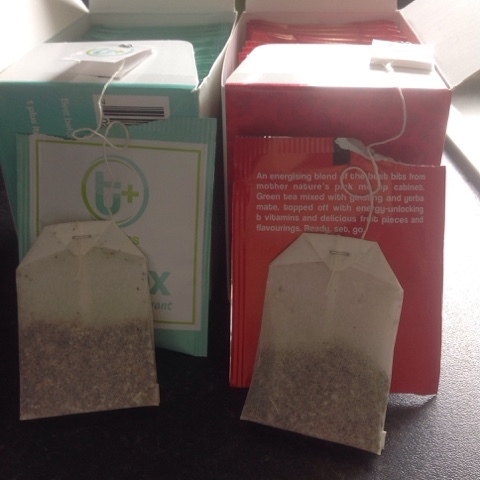 Have you tried these teas ? Got any other tea recommendations for me ?